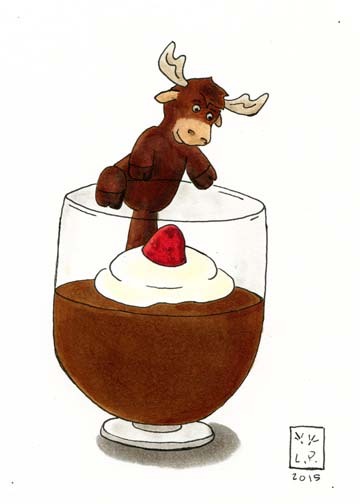 Moose, mousse, or both? What’s really the question? Why a raspberry? This was done with copic marker, liner, and paint pen. Raspberry because it adds the pop of color you need to make the two brown shapes stand apart. I thought about putting a chocolate curl on top but it would have made it look like a giant brown smudge from afar. 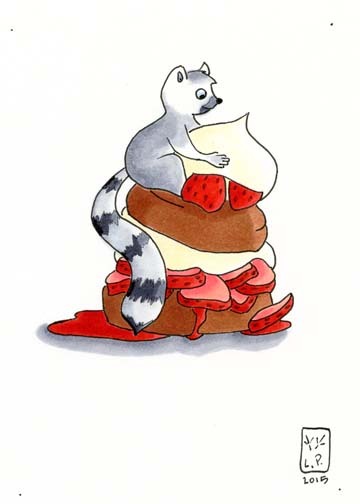 So does the moose want the mousse or the raspberry? 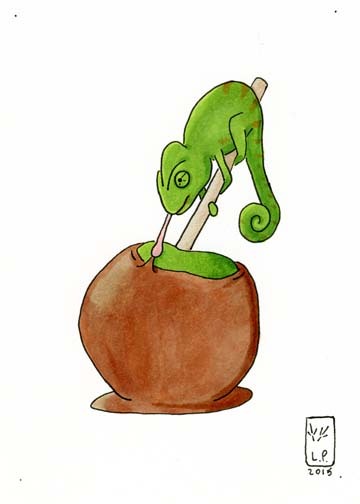 Is this chameleon’s problem that his tongue is to sticky or is it the caramel? Done with copic markers and liner. 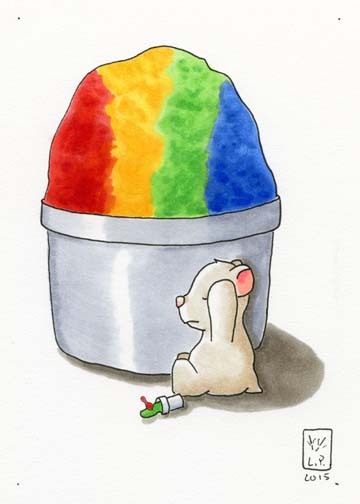 It was a big question – do I make the apple green or red? Red would make it stand out. Green would make it match putting the them on equal footing. I didn’t want the apple more important than the chameleon. 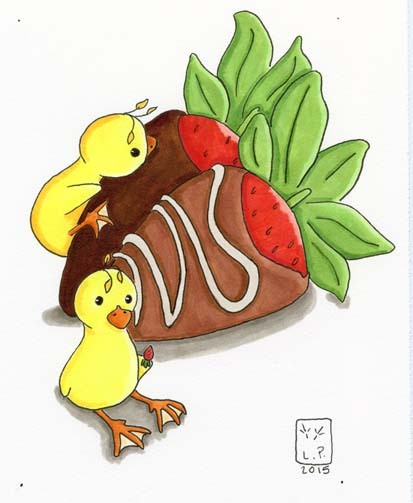 You never see just one duckling or just one chocolate covered strawberry. I did this with copic markers and liner. I wanted white, milk, and dark chocolate. I really like how the red, yellow, and green pop against the brown.